Just got an email from the owner of Ningin, and was pleasantly surprised. Seems my post for the new Naruto Shippuden Kizuna Trailer has reached a red stared, level 5 post. It reached level 5, or a red star, which is pretty rare. Thanks to everyone at the Ningin community for making this happen. If you have never heard of Ningin, you’re in for a treat. They feature a very active community that is truly interested in Asian culture. It reminds me of a cross between Digg and Reddit, but solely for Asian interest. 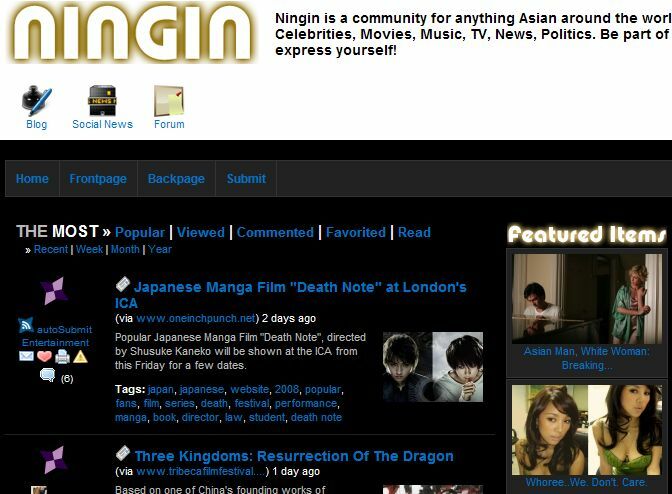 If you’re a reader of this blog, you obviously have an interest in Asian pop culture, so be sure to check out and sign up for Ningin.